PARL offers a wide range of free technology services to residents and visitors. We also support many @NS Community Technology sites throughout Antigonish and Pictou. Training is available during the summer months and in select libraries and @NS sites during the winter. Our training consists of one-on-one scheduled appointments with a youth intern usually tailored to your specific needs and skills. 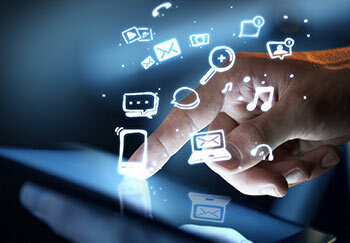 We also offer training in mobile technologies such as ipads and Android operating systems and have specific training. To learn more or book an appointment please contact your nearest branch library or @NS site. Learn more about our current Technology Interns, now offering training and special programs at our various branch locations. These computers have Windows 7 operating systems and are available in all branch libraries. All are connected to the Internet. Common software applications include Firefox, Chrome, Internet Explorer, Microsoft Office Plus, Open Office, Skype, YTD, and Picasa. Computers can be booked in advance (in person or by telephone - link to branch locations - ) or by chance for one hour. Due to high usage this may be limited to only one hour per person per day. Accessible workstations are available. Headsets and USB flash drives can also be used. Available in all branch libraries but Trenton these offer walk up service without booking but are limited to 15 minutes. Available in Antigonish, New Glasgow, and River John these offer a common suite of Apple software. Antigonish offers laptops for use within the branch library and include wireless access as well as common software applications. All library and @NS locations have free 24 hour high speed wireless available, both inside and adjacent to the building. Colour and black/white (grayscale) printing is available in all locations. Scanning is available in all locations, please let our staff know you wish to use this service when booking. CD/DVD burning is available in all locations subject to Canadian Copyright Law. 3D printing is available in Antigonish, New Glasgow and River John. Printers are Makerbot Replicator 2s and use PLA filament. We stock many different colours. Printing is $1 per hour (minimum $1). You can bring your creation in to the branch location or email it directly (link to branch locations). We also have many other types of technology available including GPS, e-readers, and mobile devices. Please feel free to ask and we will do our best to match you with the right gadget. Providing affordable access to technology in over 200 sites across the Province.